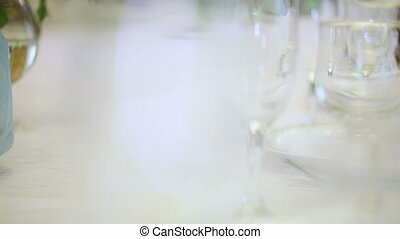 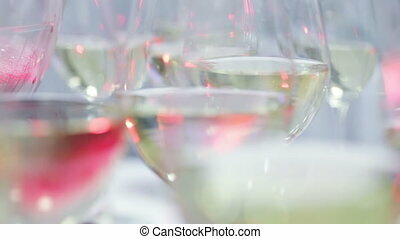 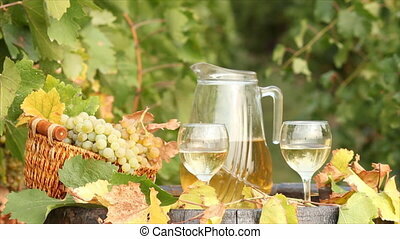 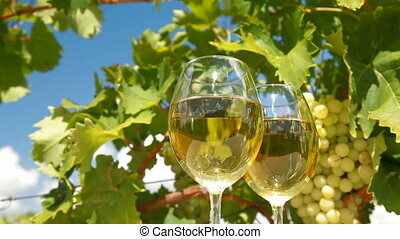 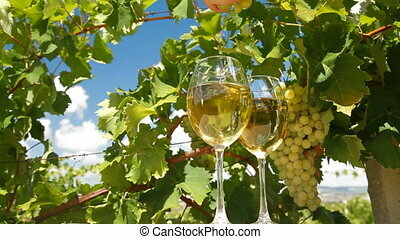 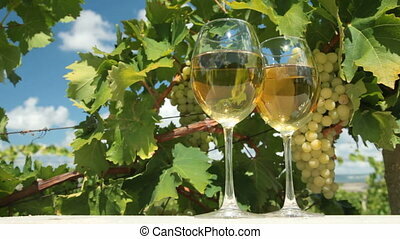 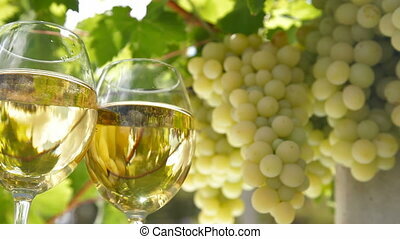 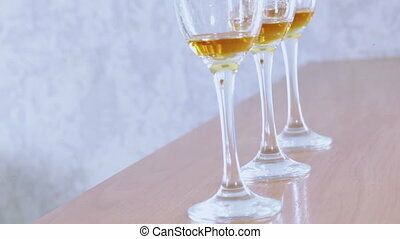 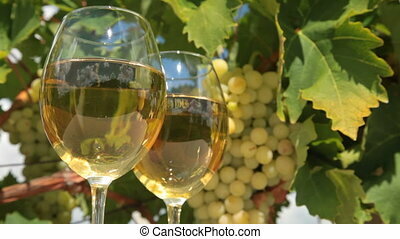 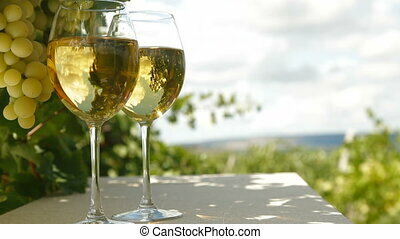 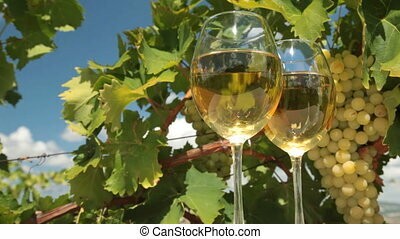 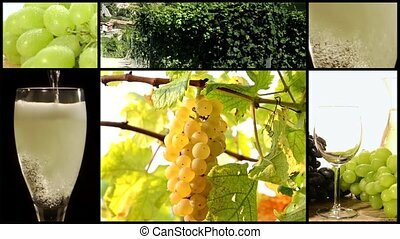 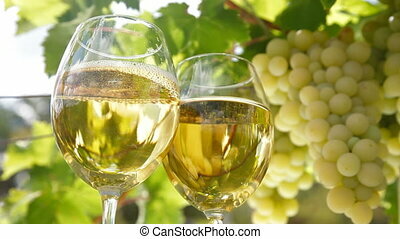 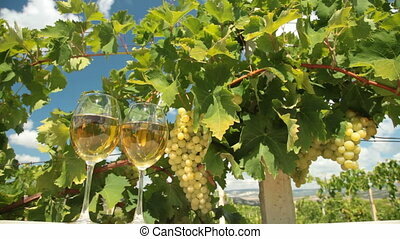 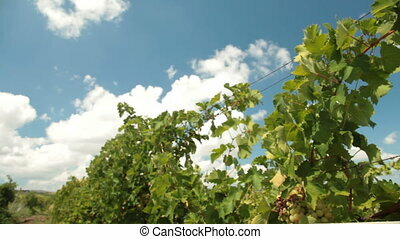 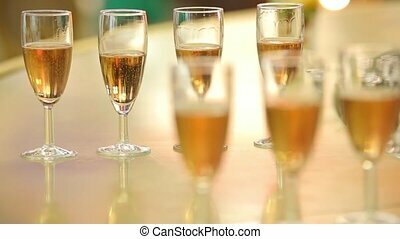 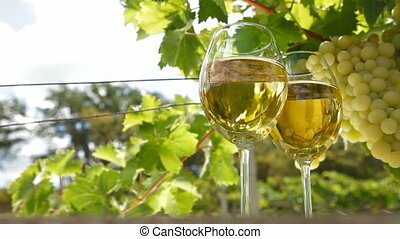 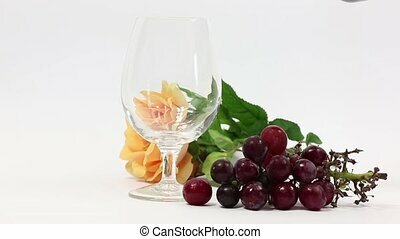 White grape and wine glasses. 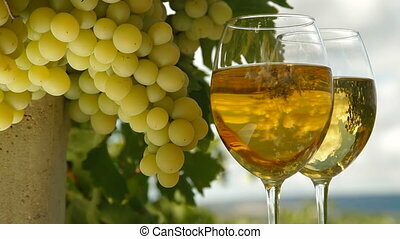 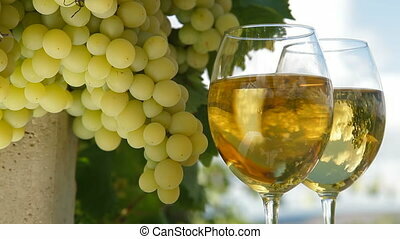 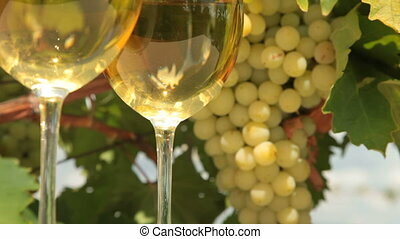 Two glasses of white wine and bunch of muscat white grapes, tracking shot. 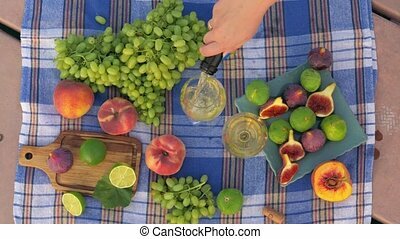 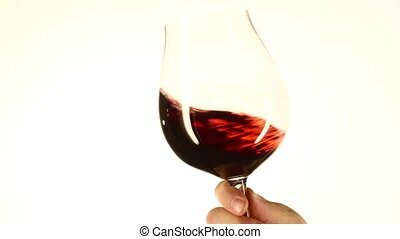 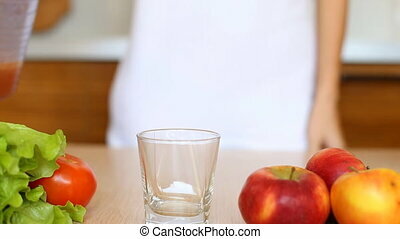 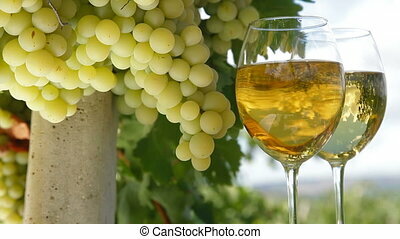 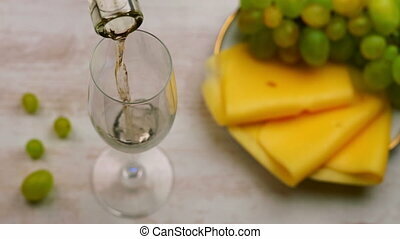 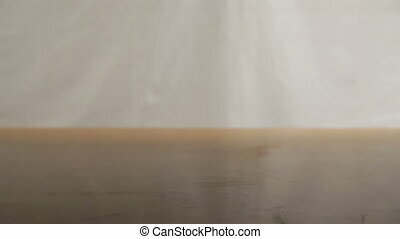 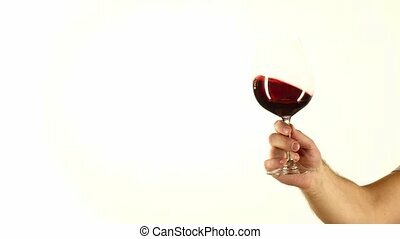 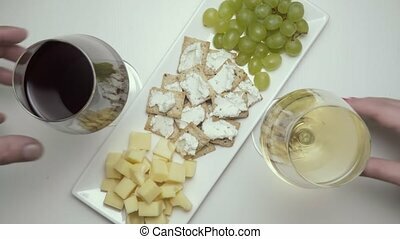 Pouring White Wine Into Glass with Grape and Cheese.